Late last fall, UDOT dramatically transformed North University Avenue by installing bike lanes—almost of all buffered—from 700 North to 5200 North, where they connect to the Provo River Trail on the north end of the Riverwoods near the mouth of Provo Canyon. Here is what they look like from a drone. 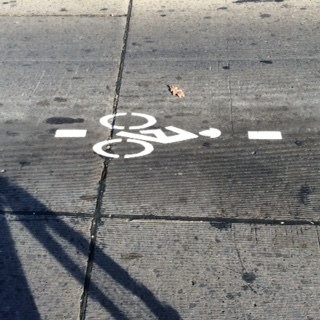 A photo taken last November of the new buffered bicycle lanes across from the Riverwoods. UDOT soon thereafter installed “no parking” signs so bicyclists like the one pictured no longer have to go around cars parked in the lane. 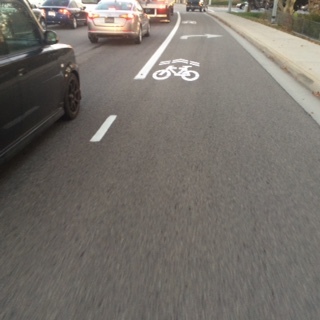 In total, UDOT added 3.27 miles of buffered bike lanes in each direction, or 6.54 total miles. 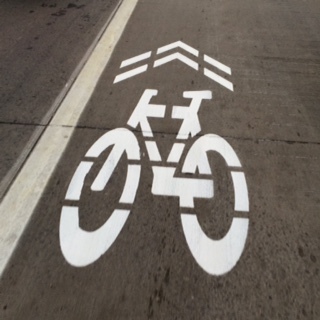 These are the first buffered bike lanes on a state route in Utah. They also added .88 miles in each direction, or 1.76 total miles of standard bike lanes on the south end from 700 North to University Parkway, where a lack of width and too many driveways did not allow for buffered bike lanes. They posted over 112 signs along the route—from “No Parking” to “Bike Lane” signs—and in addition to the lines, painted many bike markers on University and at every cross street with traffic lights on that section to signal to bicyclists that the overhead radar will detect them at those intersections. And in more detail. The third marker is one of those as a cross street, in this case at Bulldog. What is even more exciting than these lanes on North University is that this is not a one-time move by UDOT but part of a trend and emblematic of a change in UDOT’s culture. 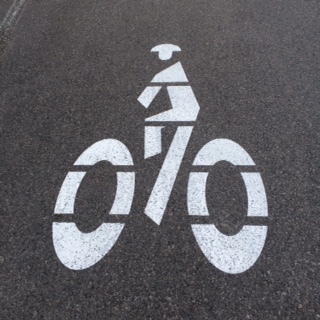 Several years ago, UDOT Regional Offices began to form active transportation committees. The committee of the Region 3 Office, which oversees the 6 counties of Utah, Wasatch, Juab, Duchesne, Uintah and Daggett, is led by Parker. The committee referenced the Utah Collaborative Active Transportation Study (UCATS) map and coordinated with Mountainland Association of Governments (MAG) on the existing infrastructure. They looked at existing gaps in the infrastructure and tried to start filling those gaps with recommended projects. They validated that information by asking those who ride and are employed by UDOT, discussing the projects with MAG and cities in Utah County. Here is a big shout out to UDOT leadership—from Director Carlos Braceras and Marshall at the top to Region 3 Director Teri Newell, Parker, and their team in Orem. Thanks also to Mayor Curtis and Public Works for their support of this project. We look forward to more projects in the near future. 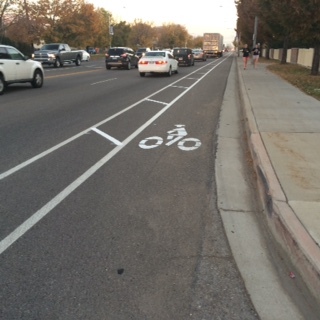 This summer, Parker reports, bike lanes will go down on Geneva Road between University Parkway and 400 North in Orem. And of course, as part of the BRT project, the lanes on University Avenue will be extended south from 700 North to 600 South. 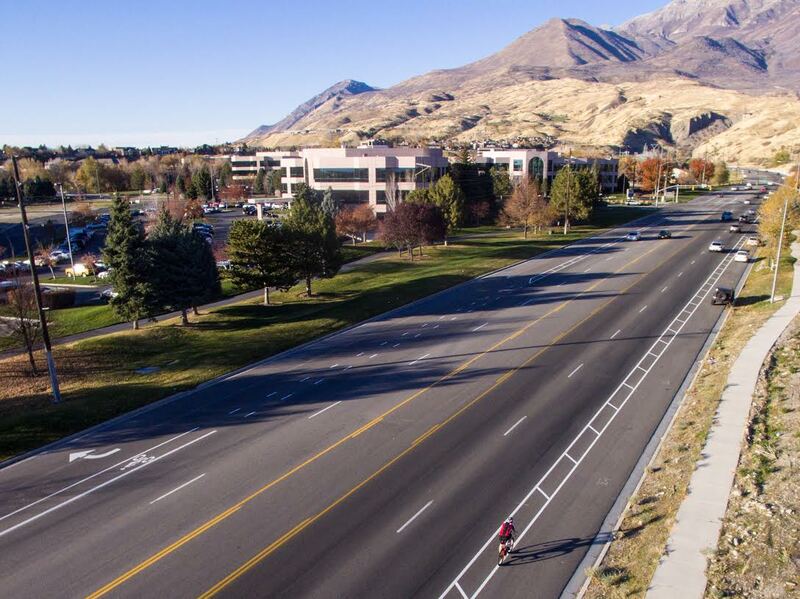 Elsewhere in Provo, UDOT is looking to put in lanes on State Street (500 West) and to close existing gaps in the bikeway network. UDOT’s dramatic transformation and bike-friendly policies almost have us wishing there were more state roads in Provo.